Dr. Jay Richard Newman explains that being an archaeologist is akin to being a detective because there is so much scientific investigation and logistical fieldwork involved, which he loves. BEDFORD, TX, January 18, 2019 — Marquis Who's Who, the world's premier publisher of biographical profiles, is proud to present Jay Richard Newman, Ph.D., with the Albert Nelson Marquis Lifetime Achievement Award. An accomplished listee, Dr. Newman celebrates many years' experience in his professional network, and has been noted for achievements, leadership qualities, and the credentials and successes he has accrued in his field. As in all Marquis Who's Who biographical volumes, individi1als profiled are selected on the basis of current reference value. Factors such as position, noteworthy accomplishments, visibility, and prominence in a field are all taken into account during the selection process. A longtime archaeologist of 40 years, Dr. Newman has been employed with the U.S. Anny Corps of Engineers in Fort Worth, TX, since 1987. During his tenure with the organization, he also spent one year as the acting supervisory archaeologist between 1991 and 1992. Dr. Newman formerly worked for both the University of North Texas as an archaeology survey director and Southern Methodist University as a teaching assistant of statistics and computers, assistant curator of collections in the department of anthropology, and archaeology field director. 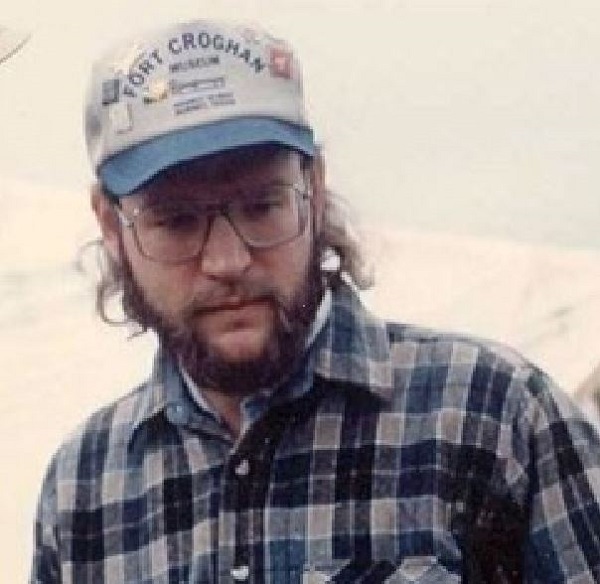 He also spent several years at Fort Burgwin Research Center in New Mexico as an archaeologist, research associate and assistant archaeology field director beginning in 1978. Currently involved as an archaeological consultant for the U.S. Air Force since 1987, Dr. Newman has also been consulting for the U.S. Army and Air Combat Command at Langley Air Force Base since 1987. He formerly performed consultant work for the U.S. Navy for installations across the U.S. Furthermore, he spent over 30 years collaborating with the U.S. Air Force Environmental Resources Program on various projects, which he cites as a career highlight. Dr. Newman has been responsible for over 250 cultural resources reports for various Dept. of Defense agencies serving as a Federal Contracting Officers Technical Representative/Contracting/Officers Representative (COTR/COR) as well as COTR for JTF-6 (Joint Task Force Six-Dept. of Defense) border security initiative 1988-1992 and now with the Immigration & Naturalization Service) as well as the Dept. of Defense/Air Force Project ORCHID being the cultural resources overview reports on most worldwide countries. He has also authored numerous articles on the history of firearms in the US & Britain, as well as multiple articles in various international scholarly journals in his area of expertise (archaeology/cultural resources). During his career, he has been involved &/or been a member of several professional organizations relative to his work. Some of these organizations include the Society for American Archaeology, the Register of Professional Archaeologists, the Texas Archeological Society, the Council of Texas Archaeologists and the Dallas Archaeological Society. In 1990, Dr. Newman received two awards, a Certificate of Appreciation from the U.S. Department of Defense and a U.S. Army Achievement Medal for Civilian Service. He has also since been cited in the 25th edition of Who's Who in the South and Southwest. Interested in archaeology since the eighth grade, Dr. Newman's passion for the field led him to later study human behavior, psychology, and antiquities. Drawing upon a very rewarding career path, he explains that being an archaeologist is akin to being a detective because there is so much scientific investigation and logistical fieldwork involved, which he loves. Dr. Newman has held an Associate of Arts from Triton College since 1974, Bachelor of Arts from Grinnell College since 1976, Master of Arts from Southern Methodist University since 1984, and Doctor of Philosophy since 1996. He is a registered professional archaeologist (RPA). Dr. Newman has been married to Margaret Grigor-Newman since 1993. Dr. Newman is the proud parent of one son, Nicholas. When he isn't busy working, he enjoys sports, geology, antique militaria and antique firearms/history of technology. He also loves to travel and read.